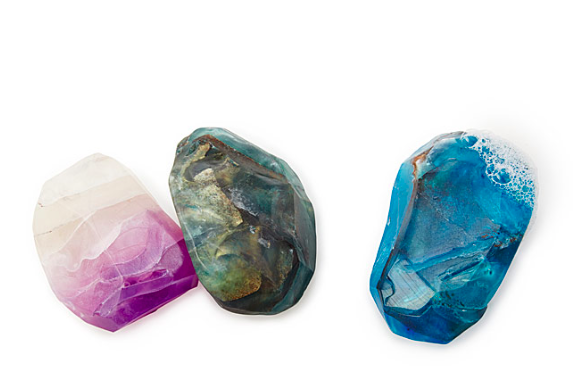 Mariel Nader’s one-of-a-kind soaps were inspired by the shades and shapes of the 12 birthstones. 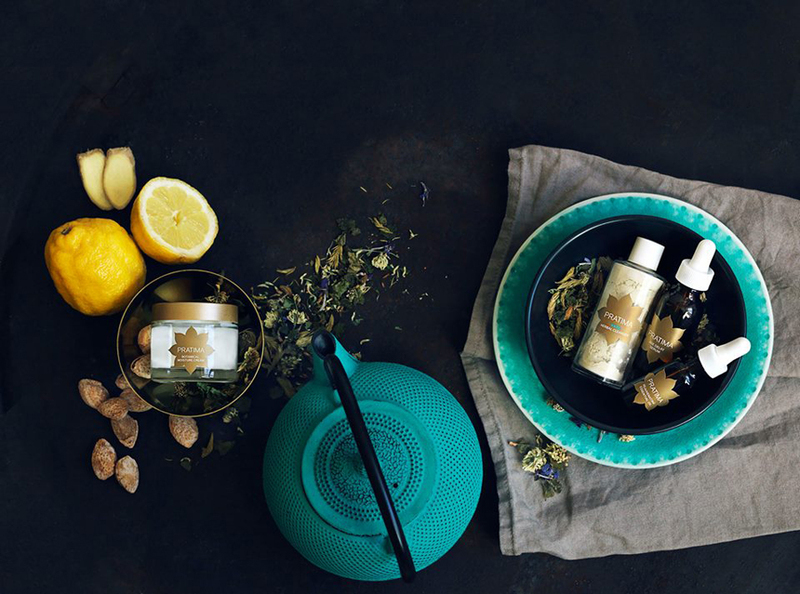 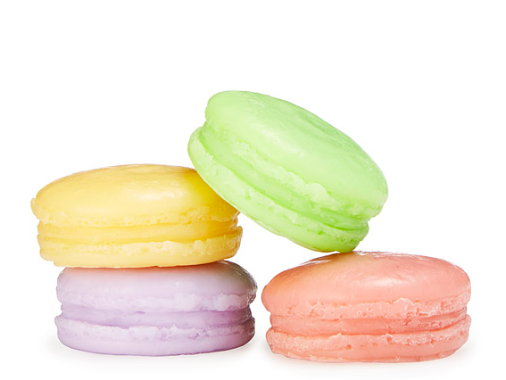 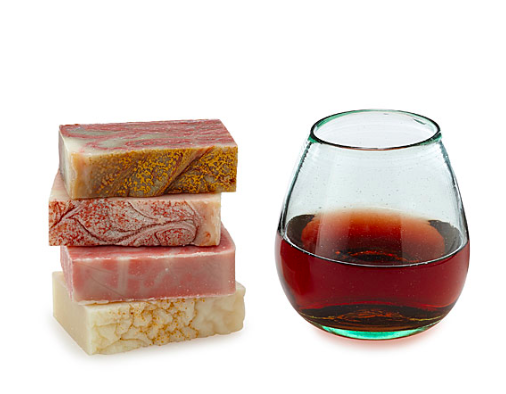 Mazzi and Erez Peled translate a classic French dessert into decadent soaps. 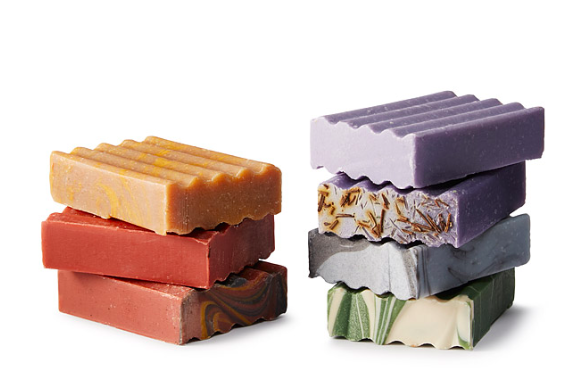 Wash away your worries with this spiritual bath set, consisting of seven aromatic soaps. 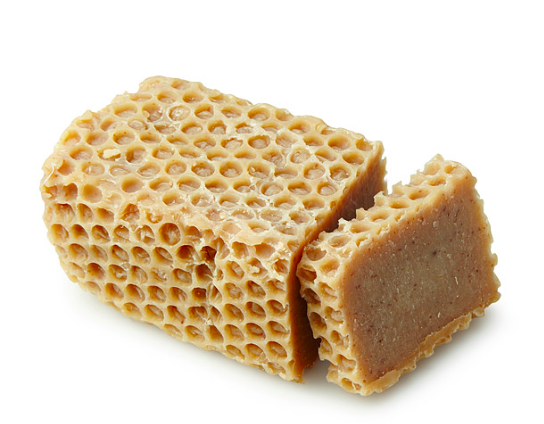 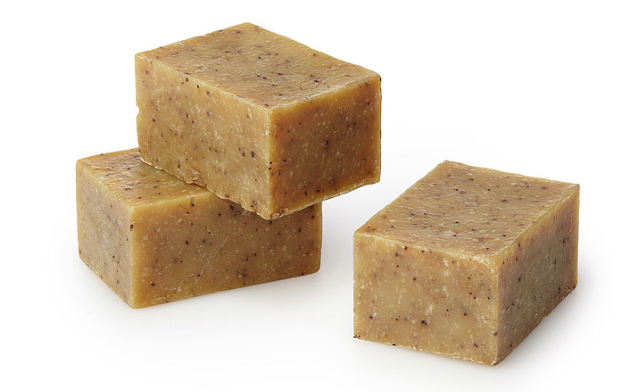 Made of local honey and creamy oatmeal, this soap loaf is designed to be sliced and shared. 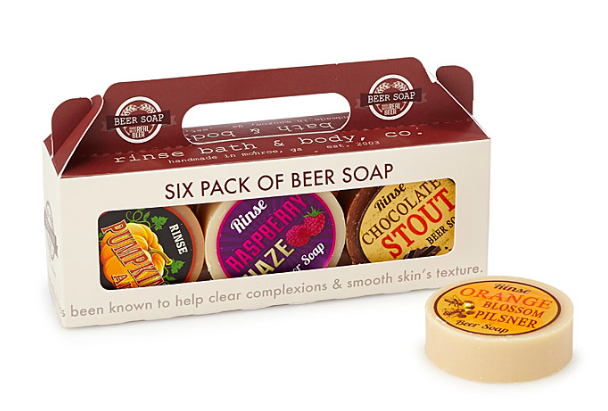 Happy hour gets a clean update with these unique, handmade soaps, made with six varieties of beer. 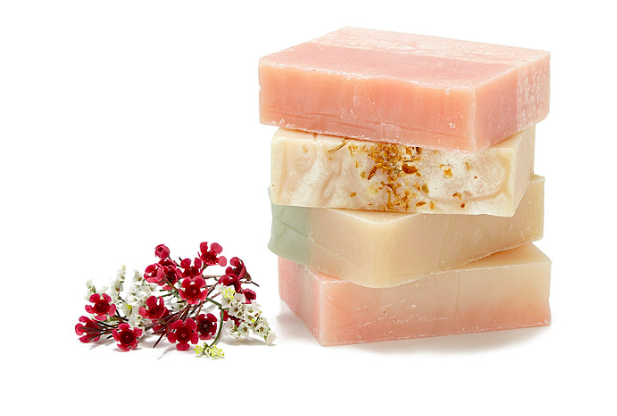 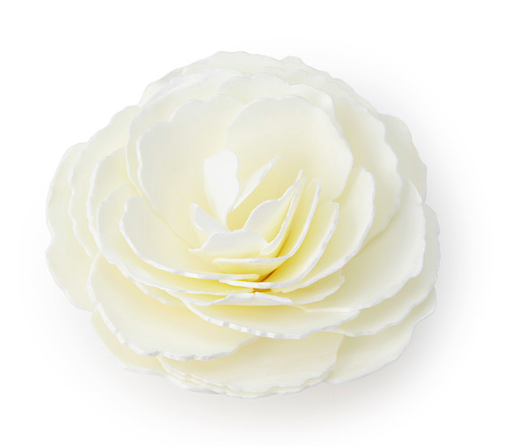 Add a touch of romance to your master suite with this blossoming handmade soap. 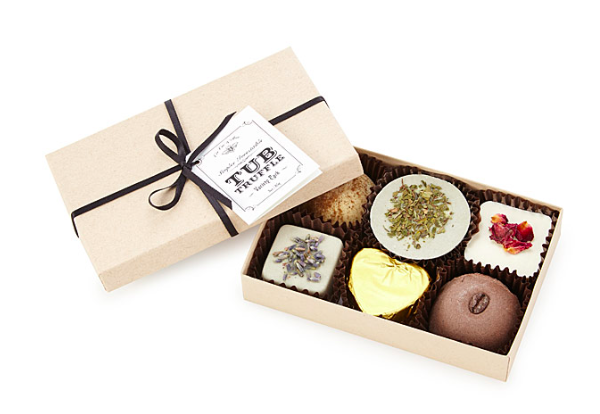 This set of tub truffles turns a simple bath into a luxurious spa experience.